This creepy asylum wall grabber will add a spooky element to your Halloween décor. 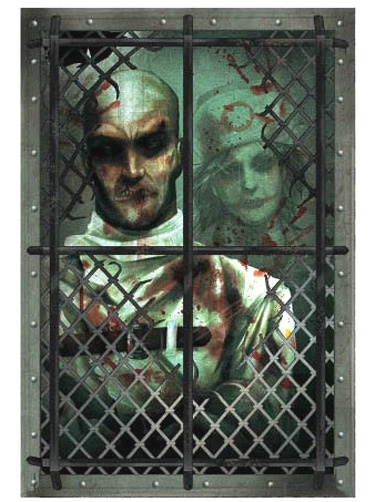 Image features a mental patient in a straight jacket with an asylum nurse lurking from behind. Clings to walls, windows, floors and other smooth surfaces without adhesives. Removable and reusable. Asylum Wall Grabber Cling measures 18"H x 12"W.